Pan Macmillan is republishing Don DeLillo's back catalog, with new covers commissioned from New Studio London with illustrations by Noma Bar. They're not only beautiful, but highly evocative of the books themes and major plot points. 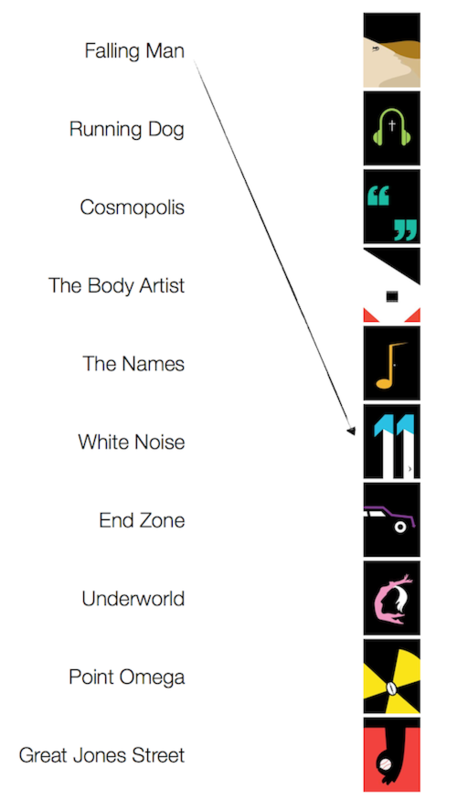 If you're a DeLillo fan, you'll want to take my "match the title to the cover" quiz. I whipped it up this morning, cropping the title from each of the books. If you're really good, you won't need the answer key. But if you need to cheat, check out the grid of covers at New Studio London's site.